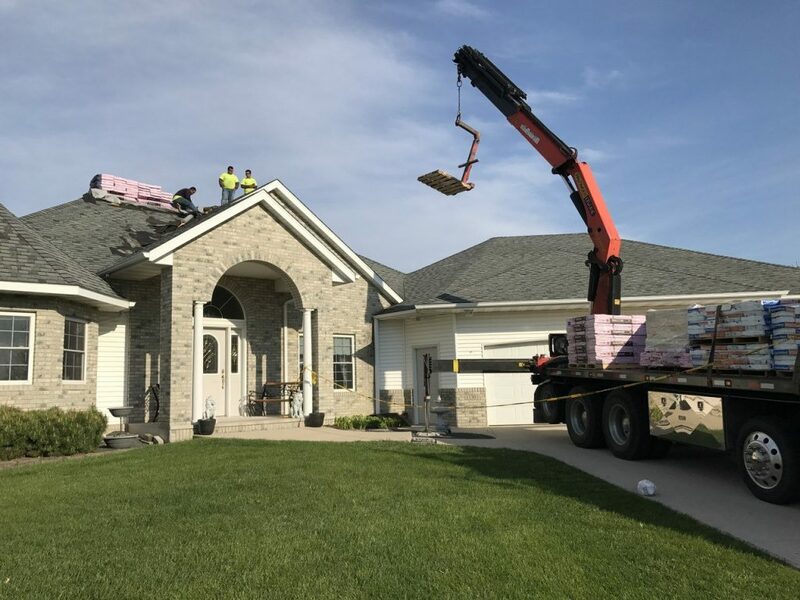 Lakeville Roofing Contractors | Local Residential & Commercial Roofer - Maus Construction Inc. 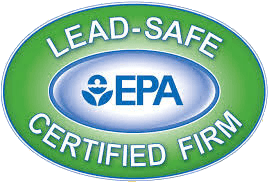 Looking for A Lakeville Roofer? 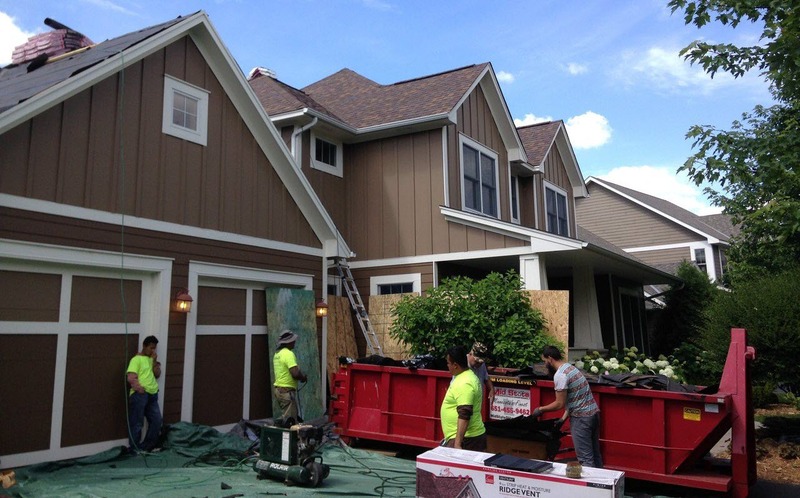 A+ BBB Rated Lakeville Exterior Remodeling Contractor. We will climb on top of your home and determine whether you can repair the damage or if you need a tear off and replacement. 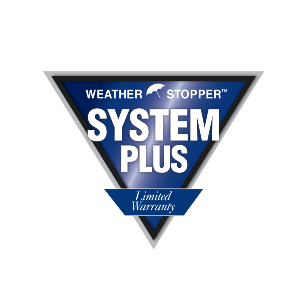 When it comes to protecting your home from the elements, your shingles and underlayment are the first lines of defense. That’s why it’s important to make sure that it’s always in good condition. Even the smallest amount of hail, wind or storm damage can turn into complicated and expensive headaches if left alone. But don’t worry, Maus Construction Inc. is here to help. Whether you just need a roof inspection, simple repairs or a complete roof replacement, no job is too small or too big for our team of professionals. If you’re looking for quality service, we have you covered. Not every job needs a complete roof replacement. Sometimes, even when it looks like the damage is too extensive, it may be better to stick with repairs, so you don’t get unnecessary work done. That’s why we take the time to evaluate its condition to make sure you’ll get your money’s worth. If we find that you only need minor repairs, we will offer a quote for those items rather than just recommending a full replacement. And if you do need your roof replaced, we’ll back it up with a lifetime workmanship warranty. We stand behind our work and we ensure our clients only get the best. You can read more by heading over to our testimonials page here. It can be scary letting strangers into your home. After all, you’re not sure if they will treat your property with the same respect as you do. You may have even heard of stories where a random contractor has left a homeowner worse off than they were before. But we’re not strangers just passing by. We’re locals, just like you! Maus Construction Inc. is a family owned roofing company with a team that’s made up of people from your community. Because we have our own full-time crew, you don’t have to deal with the risks of working with unknown subcontractors. We believe that it takes someone from the same area to truly understand and meet what our clients need. We’ve been in the business since 1995. Over the years, we’ve worked on hundreds of projects resulting in hundreds of happy property owners. How did we do this? By making sure we leave your property better than when we arrived. You see, we don’t just focus on the roof. When Maus Construction Inc. is on the job, we take extra care of the entire property to avoid any damage to your home. Your lawn, plants, driveways, walkways, and any other area will be kept safe during our stay. And when it’s time for us to go, not even a single nail will be left behind. That’s the kind of service that has earned us an A+ rating from the Better Business Bureau and the kind of service you can expect. Don’t wait until the next storm hits your area. Fix leaks, replace missing shingles, or get a full tear off and replacement with the help of Maus Construction Inc. Give us a call today for a free roofing estimate. Our team can help with your siding and window projects too, give us a call to setup a free quote. Whether you have a storm damage claim or just need someone to investigate a leak, our team can help! We can handle the details of your insurance claim and help you return to your normal life. Commercial projects require specialized knowledge. Not just with roofing but also managing regular foot traffic to the building. Our team has perfected this process over the years. 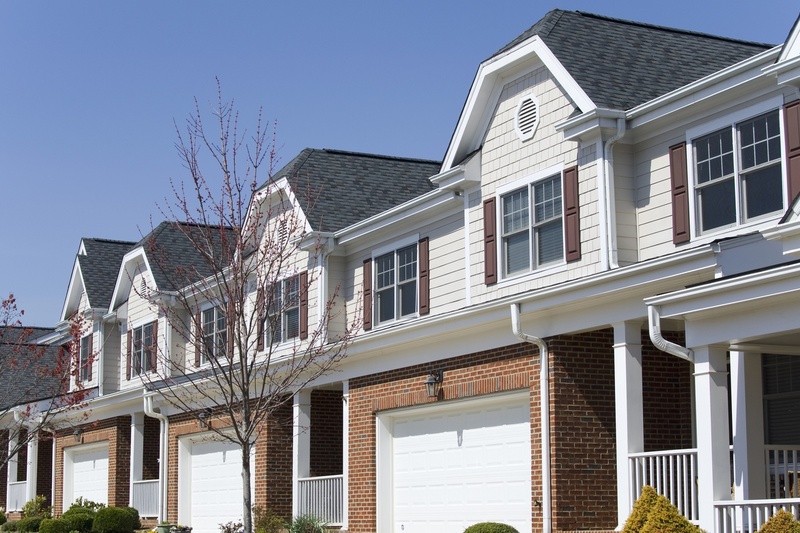 Our team understands the challenges that come along with townhome roofing projects. Coordinating deliveries, managing owner expectations and keeping a clean work area are all part of our process. Maus Construction is located in Burnsville and we have been for over 20 years. Lakeville is located about 20 miles from the downtown centers of the cities Minneapolis and Saint Paul. It is one of the larger cities in the Twin Cities region and it has lots to offer. Lakevill was founded in 1855 but not officially incorporated until 1967. With easy access to the Twin Cities, Lakeville has become a highly sought after destination for working families. Lakeville is served by 3 Independent Schools Districts 192, 194, and 196. Each district scoring above the national average consistently on achievement tests. Named the #1 safest city in Minnesota, Lakeville values it's resident's safety. For those that enjoy hiking, Lakeville has over 100 miles of traiils and 60 parks. If you have recently moved to this beautiful community, welcome. If you have been a life-long resident, you already know how fortunate you are to live here. Taking care of your home whether it is new to you or one that you have lived in for years, takes work. 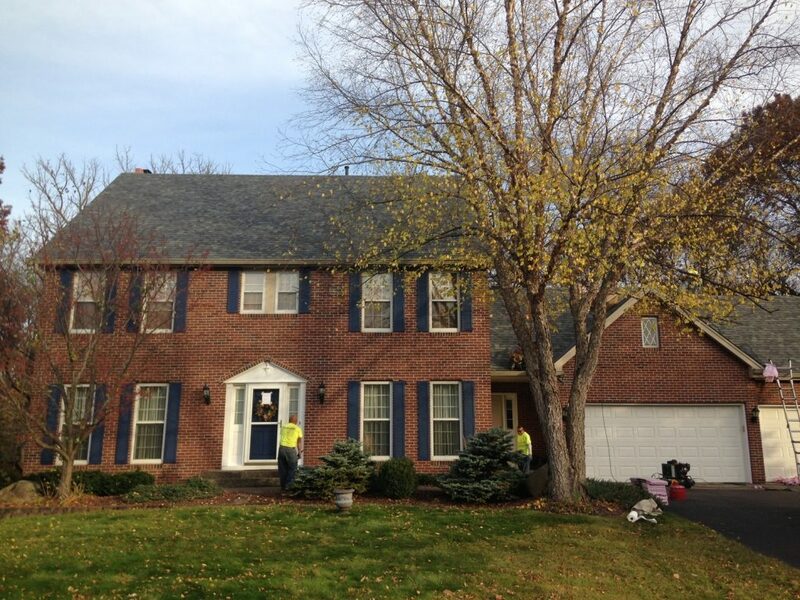 When you need roofing, windows, and siding, you want the best quality workmanship you can find. 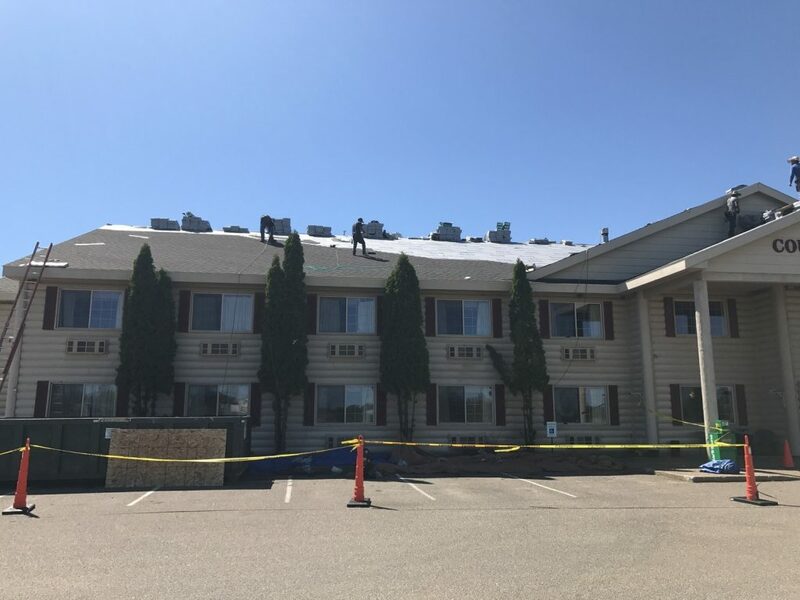 Regarding permits Lakeville's building construction codes have specified that homeowners and commercial proerty owners must obtain a permit for re-roofing projects. You can obtain all the necessary permits by visiting the link below, or give us a call and we can help you with the permit process. Contact us today to request a hassle-free quote. Learn more about Maus Construction.